1. 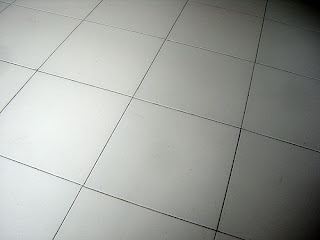 Find the number of tiles that are needed. 2. Find the total cost if one tile costs $130. Now, consider the room that is 7.4 m by 4.5 m. The tiles will not fit exactly along the 7.4-meter side, so we will need to cut some of the tiles. So we might as well consider it to be 7.5-meter side for the purpose of figuring how many tiles we need. Along the 7.5 meter side we would need 15 tiles, each 0.5 m. Why? Because 0.5 fits into 7.5 exactly 15 times. It's essentially a division problem... 7.5 ÷ 0.5 but you can solve it mentally by thinking that each meter takes 2 tiles, so 7.5 meters takes 7.5 x 2 = 15 tiles. Similarly, along the 4.5 meter side you would need 9 tiles, each 0.5 m.
Therefore in total we need 15 x 9 = 135 tiles. Some of those will need cut! The most recent edition of Math Teachers at Play is now up at Maths Insider... beautiful and inspiring! Go take a look and enjoy! 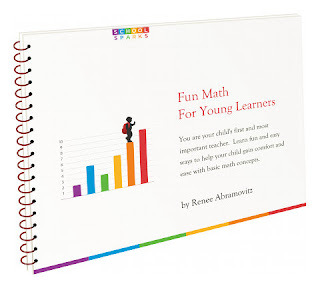 Renee from SchoolSparks.com is offering a totally free ebook for kindergarten math! It basically is a worksheets collection for K, colorful and beautiful. The book covers number recognition, counting, patterns, sorting and classifying, and an introduction to graphs, and has 53 pages. In addition to this very nice e-book, Renee also has hundreds of free kindergarten worksheets for parents and teachers to download and use at home or in the classroom. 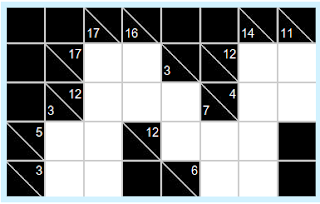 Kakuro is a numeric crossword puzzle that uses sums. You fill in the white space using digits 1 to 9. The little numbers indicate what the sum of the neighboring row or column of blocks should be. You cannot use the same digit twice in any sum, so for example 12 cannot be 4 + 4 + 4. It is considered more challenging than Sudoku, but just as addictive to its fans! I find it gives nice simple addition practice for elementary school kids, yet is fun. You can play some Kakuro games online here. Here's another site. This game is immensely popular in Japan, according to Wikipedia. 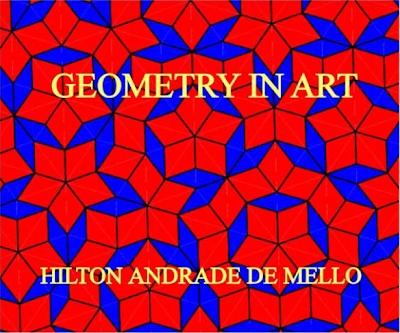 I was told about this free download of the book Geometry in Art, by Hilton Andrade de Mello. On the page, you need to scroll down to the words "free downloading". This book is a basic introduction to geometry in art, with topics such as polygons, spirals, polyhedrons, tessellations, perspective, the golden ratio, symmetry, geometry and symbolism, and geometry and informatics. It has lots of illustrations and artwork by various artists, and can serve as a nice introduction for anyone who hasn't studied these topics before. Currclick Affiliate Appreciation Weekend, 50% OFF sale is going on for just 2 more days. Over 4,000 titles are discounted by 50% OFF! Just use the coupon code "appreciate" at check-out! Click to start browsing now! Mowing the lawn is a oh-so familiar task to many of us. 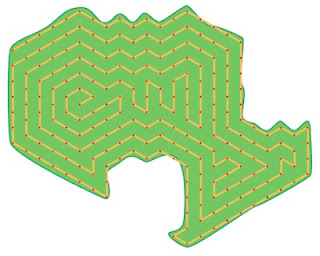 Now here's an article that approaches the problem of pushing the lawnmower the shortest distance possible mathematically. I'm sure you'll enjoy it! I did!